Razors Edge Productions, or R.E.P. 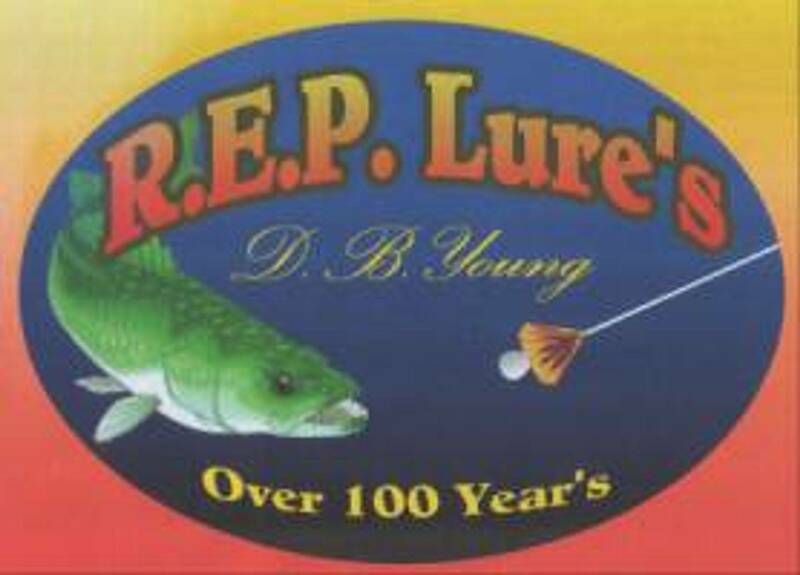 Lures and Guide Service, as it's better known. Is a business I started in a small one room garage as a Sharpening service back in 1989, and dedicated its opening to my Grandparents who raised me with a strong respect for the land and taught me crafts for outdoor survival. Since that time, the business has slowly grown, adding products and services with knowledge I accumulated from my families generations of instruction. Sadly my grandparent's have passed away, but not before they left me with all the knowledge and traditional skills, that have made me the master lure craftsman, and wildlife specialist I am today. The Story of R.E.P. Lures, started with a dream of mine, to use our family tradition of crafting fish lures, wildlife attractants, traps and other devices into a business. For well over 100 years these crafts have only been a family tradition, shared among our own as craftsmen while sitting around a fire, dinner table or under the ole willow tree while carving wood to life. 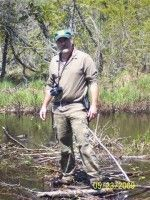 Conversations of days afield taught us of the outdoors and wildlife habits family members encountered, making our education more thorough with a deep set respect. The Young family has always been a serious outdoors type people, and the crafts for everyday survival on land or water, was necessary and mastered, then passed down from elder to youth. I was only a toddler, when my Grandfather began teaching me the skills of lure craft for fish and game. The most important lesson of making truly effective fishing or animal lures, was to know the individual species, their feeding habits, watch them afield or in waters, and see what they feed on, and keep an eye on how these feeding habits change with the seasons. Grandfather was right, if you know the wildlife or fish and their habits, they are very predictable season long. Trail of the Sasquatch, a shaman's journey. Click the book cover image to be redirected to the publications web site. 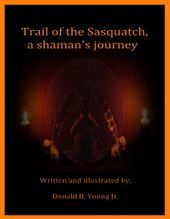 2nd book by: Donald B.Young Jr.
A fascinating sequel to the critically acclaimed book, ''Trail of the Sasquatch, a shaman's journey'' This book contains over 100 short stories, visions and poems of Haudenosaunee shaman Donald B Young Jr's own personal lifetime experiences, with an exciting twist. 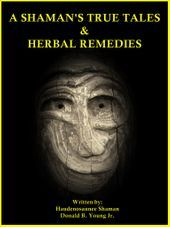 This sequel includes many herbal remedies of his lifelong sacred teachings used by himself and indigenous tribes throughout Canada, North and South America. Please subscribe free to our YouTube channel. In an effort since 1994, R.E.P. 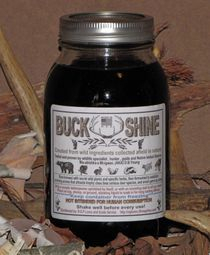 Lures has been committed to giving back, so wildlife and people can continue enjoying our natural resources. Well, it all started when my wife and I went on a trip to a canyon in the Gurney area called the Potato River Falls. We always loved this area because of its spectacular natural beauty and fantastic trout fishing. We had started down the canyon to the stream below; on the bottom we began to follow streams edge away from the Potato falls. As we started around the first bend we could hear screams of a child farther downstream, this got us to step up our pace. When we got to an open area in the canyon, we could see a large man with no shirt on, and a woman kneeling down holding a child. As we got closer, I yelled over to them and asked, what was going on. The man replied that his daughter was hurt and needed medical attention. As we got up to them we could see that it was a small girl in the woman’s arms and the man’s shirt was wrapped around the girl’s feet, the shirt was soaked in blood. I asked the man what happened, he explained that they were fishing the stream and their daughter played in the stream bare foot, when she screamed and fell back into the water, they rushed to her and saw that her feet had been cut to shreds. I then told the family to follow me, I knew a shortcut to the canyon top, and they followed. The man offered me money for my time; I refused it, and told him to get his daughter to the hospital as soon as possible. They left. My wife and I went back to the area checking the stream out and searching for what could have done such damage. After what seemed like a couple of hours my wife yelled over to me that I should see this. When I got to her, I saw what had caused the child’s deep wounds; someone thought it would be fun to break up a case of beer bottles in the stream. On shore between large boulders was the empty beer case carton and the shore was littered with spent 22 caliber casings. It took my wife and me over 9 hours till dark to clean up as much of the glass as we could find. It was then we decided that something had to be done, so this will not happen again. 3 weeks later we started the R.E.P. Lures Waterways Cleanup Project. Since that time, Carol and I have continued to patrol lakes, rivers and streams within our Wisconsin recreational areas. With over an estimated 3 tons of miscellaneous trash items collected, Carol and I did not stop at just collecting, but at our own cost we placed garbage cans at the heaviest littered areas. Of course many of these cans were vandalized or stolen, we continue this costly fight to keep our waterways safe and clean for generations to enjoy. But now, with the rising cost of living taking its savage hold, we are no longer able to travel the many miles around Wisconsin to patrol and keep waterways or shorelines clean. The metal barrels we drop off at sites are bought with our own income, but these are getting difficult to replace when vandals or thieves destroy and or steal them. We must now ask for your help to continue our crusade. Even one dollar will help us keep the waterways clean and safe for everyone to enjoy.